Although I still had overall responsibility for delivering to Sean Chee, my Mate. 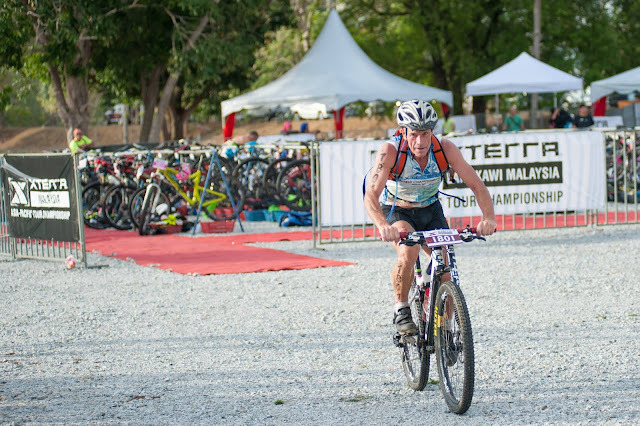 Partner and, most importantly, the Event Director for XTERRA Malaysia the race course and all the logistics associated with the race day. This was significantly different to the last 3 in that as well being responsible for these aspects of the race I was also going to race it in the hope that I could cement subsequent results in the Philippines and Saipan and seal my position as the Asia Pacific Tour Age Group Champion. First and foremost I would like to reiterate my thanks to Sean for doing without me on Race Day and taking on the additional responsibilities he was already shouldering by adding the role of overall Race Director & Race Referee. He was supported and assisted brilliantly by his own team from Radius World and a handful of willing and wonderful volunteers like Elsa Ng. 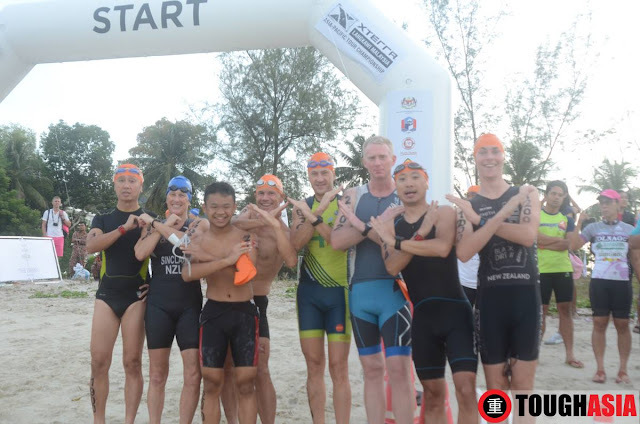 On the team this year we were also blessed to have Eugene Chan and his team from Triathlon Malaysia. He oversaw the swim course and transition and his involvement was invaluable. Another amazing bit of the race day ‘jigsaw’ was Shahidan “Adam” Pakdan. 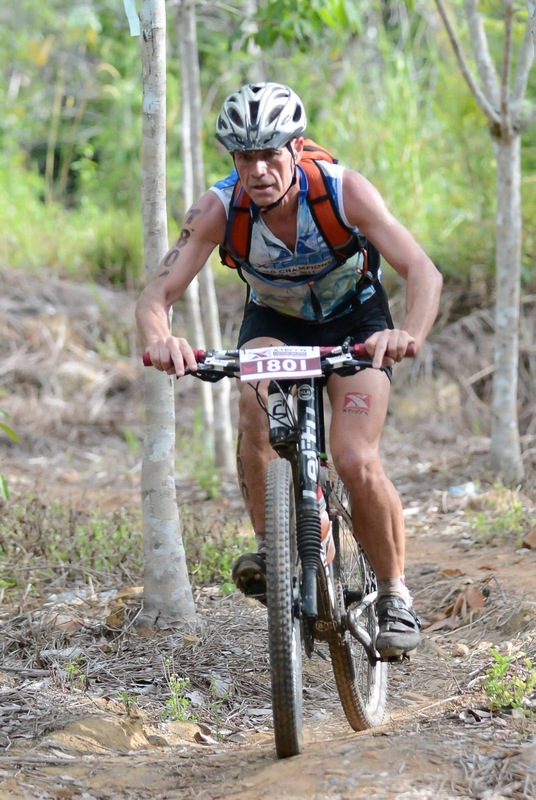 He worked last year tirelessly as one of our contractors and impressed me so much that I entrusted him and his team of local labourers to help us prepare, clean, mark, marshal and then clear both the bike and run course. This was a huge ask and a big step up from the role played last year. However, he and his gang were up for the task and delivered for me one of the “stand out” performances of the event. On top of these key players was the ever dependable Jim Lovell and the lovely Lee his recently appointed new partner aka boss. Jim doesn’t just time an event. Thanks to his experience, he is involved in many other areas providing guidance, support, encouragement and many other “add- on” benefits including impromptu entertainment with is wit &amp; energy. The same applies to the beautiful and bubbly Adele Cheah Lynn-Li whose voice and presence exude energy and enthusiasm all be it in, forgive me Jim, a more elegant way, to all that it touches both in terms of participants when she’s in her Emcee role and the rest of the team when she interacts with them which she does as a natural and integrated team member. Because of all of this incredible and support and effort from these people and the many others that also chipped in with their time and energy during the race day I have been allowed me to do something quite unique and special and for that I will be forever in the debt of all of these people. Well, as you can imagine, it wasn’t the usual early to bed and restful night before a race that I usually have but all those last minute worries were forgotten as I checked into transition and Marc Donaldson my friend and Manager of “Team Louise” kindly helped me and a few others do some essential prep to our bikes that we were either incapable of or had not had time to do prior to the race. The rest of the time prior to the gun going off was, I confess, a bit of blur, as it was full with what seemed like even more “Hi’s” and high spirited banter with friends old and new than usual. 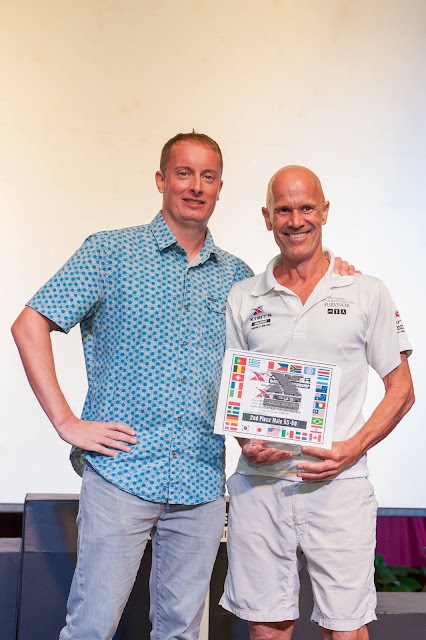 These typify the camaraderie of every XTERRA event I have ever been involved in irrespective of which side of the fence I’ve been on and in short I love it and all the people it melts together. It wasn’t until the gun went off to start the Pro’s on their way in fact that I really turned my thoughts toward the serious side of why I was here. This came with the rather unhelpful thought that in the next few minutes I was going to be doing the first swim since when I swam at XTERRA Saipan. For those that read that report, you’ll know that this wasn’t really a swim! Filled with a somewhat guilty and less than confident mindset about my swimming abilities off we went. 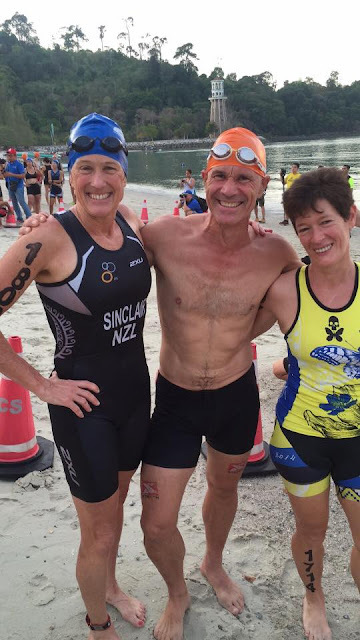 Precisely Thirty Seven and Eight seconds I reentered transition having completed the 1,500m swim. This was some 20 minutes slower than the ‘dolphining’ that I did in Saipan and almost 10 minutes slower than my previous best time for this distance swim. That said, I didn’t dwell on this rather poor start. I knew, probably better than everyone else, how tough a test we still had ahead of us all and I was remained only recently of how important is to think about what’s ahead of us in a race and not what is done and behind us. This was positive thought was founded on the fact that I was confident and up for the challenge to scamper up “the wall” as the first climb is affectionately referred to in order to chase down as many riders and runners I could to finish better than the 41 st place that this swim time had put me in. It always amazes me how climbs always seem so much easier each and every time you do them and having climbed Gunung Matchincang multiple times from multiple directions this certainly seemed like the easiest time for me and half way down the descent on the other side of the climb I caught and passed my good Mate Paul McCalman who I hoped to be going to Maui with so long as we both performed to our true capabilities. As I saw him, I gave myself a psychological pat on the back for having a good climb and for catching him so soon into the bike as Paul’s a way stronger swimmer than me. It turned out, that he was actually only 5 minutes or so faster than me, making me suspect that Eugene’s swim course may have been either a bit long or the currents that I felt were stronger than we all expected :-) and I was spurred on by this and starting passing quite a few more riders by the time I popped out to cross Jalan Datai for the first of two loops of this section of the course. I continued seeing and catching riders and rode the tricky little rock garden through a young rubber plantation perfectly cleanly and then entered my favourite section of the newly extended section of the bike course which has a dark almost enchanted forest type feel to it due to its close proximity to Mangrove Swamps where the Geo Park Adventures and Crocodile Farm are located. Shortly after here is a sharp left turn just before you enter a privately owned Mango Orchard. I know that this can be taken at speed and was executing this turn only to find a huge rock in the middle of the line which must have been dislodged from when the Pro’s rode through there probably 30-40 minutes earlier. I managed to get my front wheel over it but due to the speed and my slow reaction time the attempted “Bunny Hop” was neither quick enough nor high enough and my bottom bracket and rear wheel smashed into it. The bottom bracket seemed to survive the impact but I picked up an instant flat to my rear tyre and, as I discovered later, a torn tyre and a damaged rim. 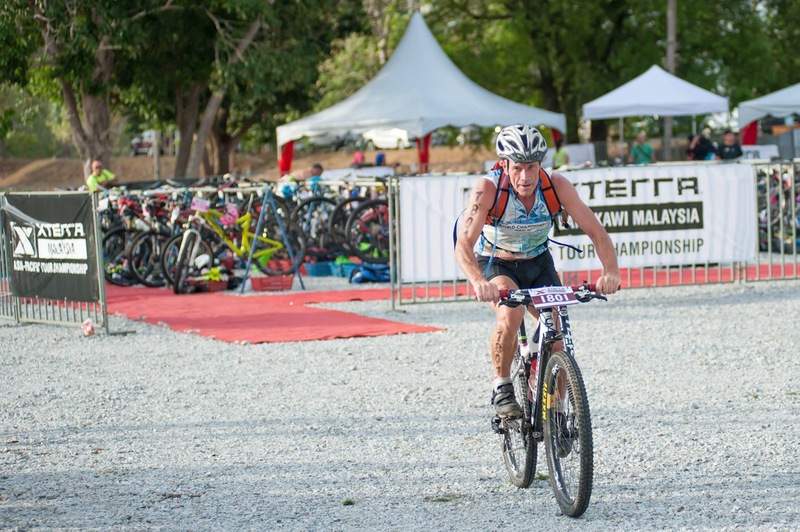 To make matters worse I had not prepped for such an incident and had naively and stupidly started the race without a pump, a cartridge, a tube and tools. Whilst I don’t mind admitting that I’m relatively new to the sport of off-road racing this omission on my part was inexcusable and I really should have known better. To make matters worse I tried to ride the bike for the next kilometre or so where I knew there was a water station. Sadly in the process the tear in the tyre became worse and it meant that even with a tube it would puncture again immediately as without the toothpaste tube that I should have been carrying in case of a torn tyre, the tube would pop straight through the tyre wall and quickly puncture again. 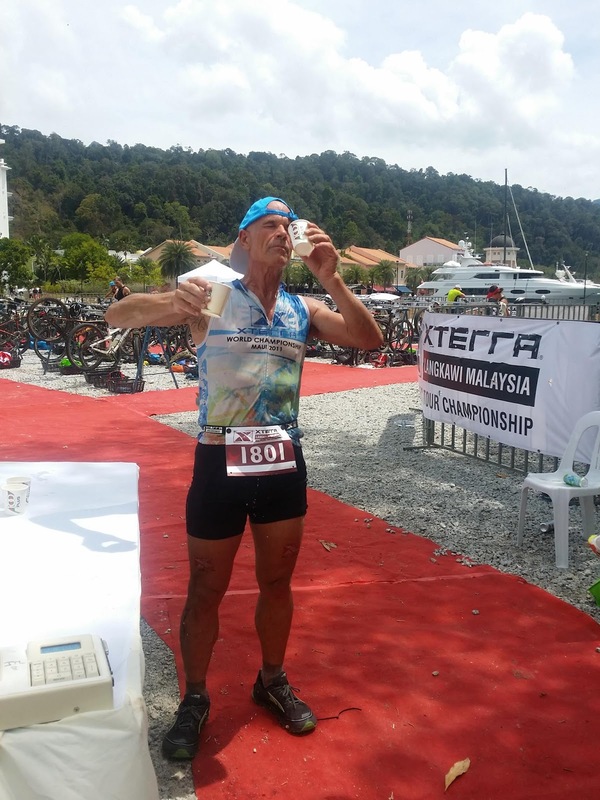 As a result, I shelved the very good chance that I had set myself up for of winning my age group and refocused my race goal on simply finishing. As disappointing as this was for someone that is unashamedly ‘rather’ competitive, on reflection I was and am real pleased with the very matter of fact way that I took this in my stride. In the past I’m pretty certain I wouldn’t have but I genuinely and sincerely accepted it as just one of those racing “$#it” happens incidents and can honestly say that I was not going to let it spoil the enjoyment of the event. At the water station, I met Marc Donaldson again who will hopefully stand as a witness to this pragmatic and still willing to play mindset that I felt I had. He was now out on the course to support Louise and no doubt give her a heads up on her progress and position. He offered me assistance but given that this would have constituted “outside assistance” I told him that as I was intending to finish the race I could not and would not accept that. He nodded approvingly. Many of the other riders (in fact almost everyone that had one) that were now passing me were offering me their tubes and assistance and whilst I could have accepted these (assistance from fellow participants with tools, tubes etc. is allowable. The only thing that isn’t is if I used their bike) and stayed legally in the race, I politely declined their generosity. As a testimony to their kind heartedness many found my rebuffs a bit hard to understand so for the record, here’s what I told those that asked me at the awards dinner in terms of my rationale for shunning their offers of assistance. One, I did not want to ruin their race by leaving them without the means to self-repair. As, given that most riders only carry one tube, if after passing me they had the need for it I would have felt awful that their race was over at my expense. Two, even if I had accepted their kind offers I was pretty certain that with the state of the tyre wall the tube would have popped out of the hole as soon as it had air in it and would puncture again very quickly as a result and their generosity would have been pointless. Three, and most significantly, I felt that finishing the remaining 20 or so kilometres of the bike course with the flat was a suitable and deserved punishment for being so badly prepared. For a while I ran with the bike but quickly realised that with an already damaged rim and tyre I was not protecting the bike by doing so. So, where it was possible, I rode and just like every other time when I have applied the principle of “relentless forward progress” soon enough I got myself back to where I needed to be. In this case, it was to “T2” for my running shoes. Quite surprisingly I was not last! As the timing team at transition told me that there were still 4 other riders out on the course. This meant I was 5th from last. Not a position I have to confess that I am used to but thanks to a bike split of more than 3 hours and 45 minutes versus the 2 hour 25 minute target I had hoped for, it was only to be expected. Nonetheless, I was looking forward to the run and was confident that despite the extra effort of riding 20+ kilometres on a flat I was not going to suffer any more punctures. 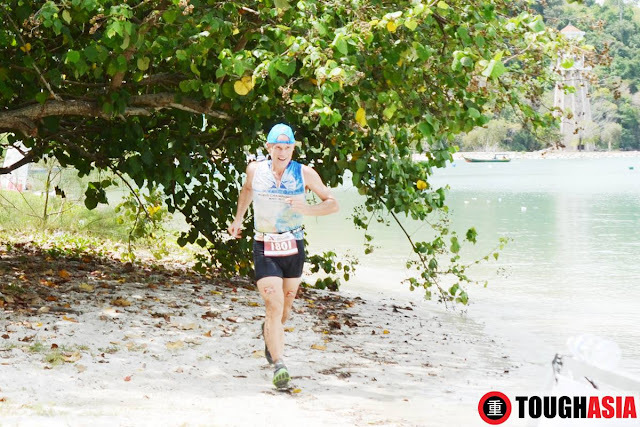 As a result, I left “T2” with a smile on my face and a spring in my stride. As I neared the end of Pantai Kok I realised that being so late in starting my run was going to mean that rounding the headland and crossing the river were going to mean that I’d possibly be doing more swimming than running as the Spring Tide was exceptionally high already and was only going to get worse. Sure enough after leaving the beach to cross the river from the Tradewinds side to the Berjaya side my 5’ 8” frame was well out of it’s depth to run and I had to swim across. I prayed and hoped that those behind me didn’t cramp up as a result of this extra effort although I was relieved that they’d not be out of their depth as I could comfortably touch the bottom of the river it was just too deep to run or wade and faster to swim. After the river I knew it was up, up and away after that and relishing the challenge of a climb I knuckled down to the task at hand. I have to confess though that whilst I was catching and passing people here I was not my usual “Summit Seeking Sherpa” self as I was finding it hard and, as a result, I was focusing more on me (mainly my quads and hamstrings which were now reminding me of the tough ride I’d just had) rather than helping others other than with a few well intended words of encouragement. On cresting the summit I do not mind letting out a deep sigh of relief which was closely followed by a “whopdewoo” of excitement. 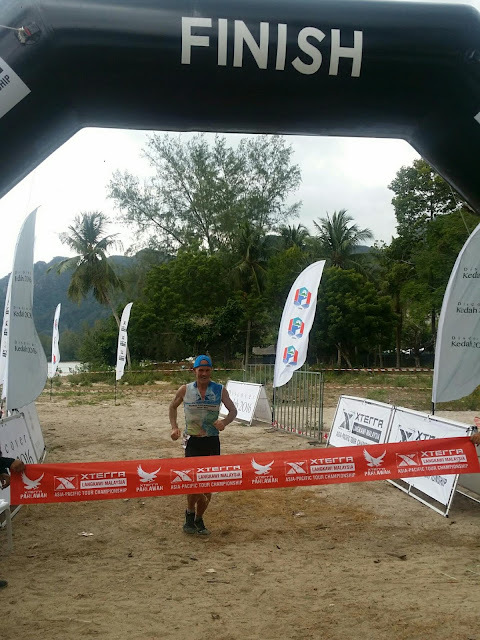 This was in anticipation of the run down which I had never done as previously all of my other descents had been at walking pace as I’d either been armed with a Parang to cut/clear the trail or a Staple Gun, Awas Tape & Acetate Arrows to mark the course. 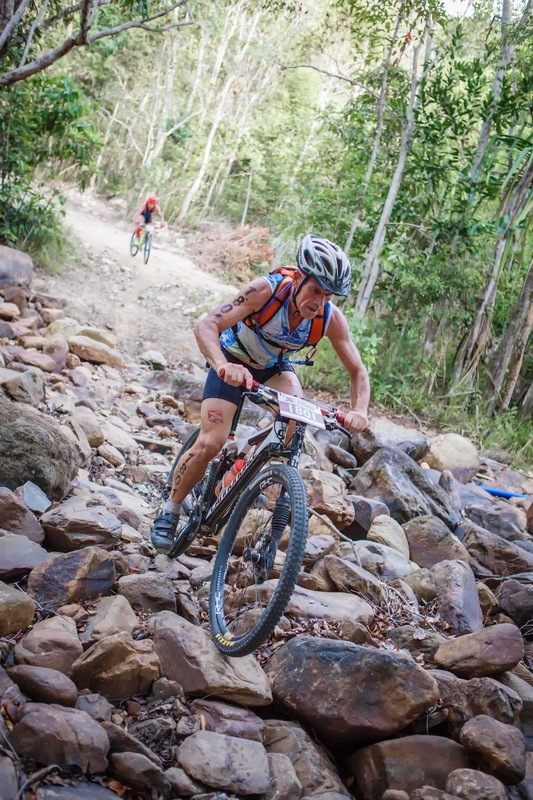 Given the time and effort on the bike I didn’t feel I was descending as fast as I could. Despite the lactic laden legs, I still felt reasonably fast as I focused on flowing through this section of the Trail and was pretty satisfied with posting what turned out to be the 30 th fastest run of the day. Whilst I’d been climbing and descending the tide had continued to advance down at sea level and, as I’d anticipated, this made rounding the headland much more challenging. It also meant that rather than a nicely hard packed picturesque beach run back to the finish line, the late finishers had to choose between running through the water or the soft sand beyond the high tide mark which added to the Challenge. Always be prepared for the worst to happen and never start a race again without the means to carry out critical repairs to you bike. Never give up and just enjoy the journey! As, where there’s a will there’s usually always a way and often some pleasant surprises along the way as well. Even if it is just getting the job done versus quitting. 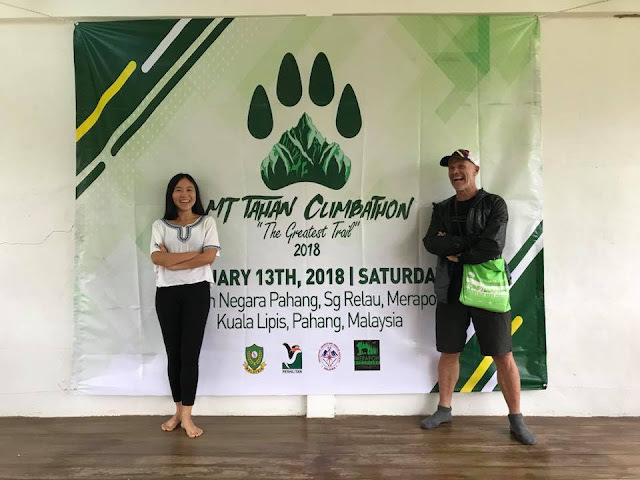 It is all totally true what people say about me I am “The Painmaster” (a term fist used back in 2013 about me by one of Malaysia’s most famous bloggers “Tri Stupe”). I really do design darn tough race courses. We should never expect others to do things that we are not prepared to do ourselves. In perhaps a perverse masochistic way there is a real sense of enjoyment and satisfaction from spending large parts of your day battling the elements of Mother Nature. 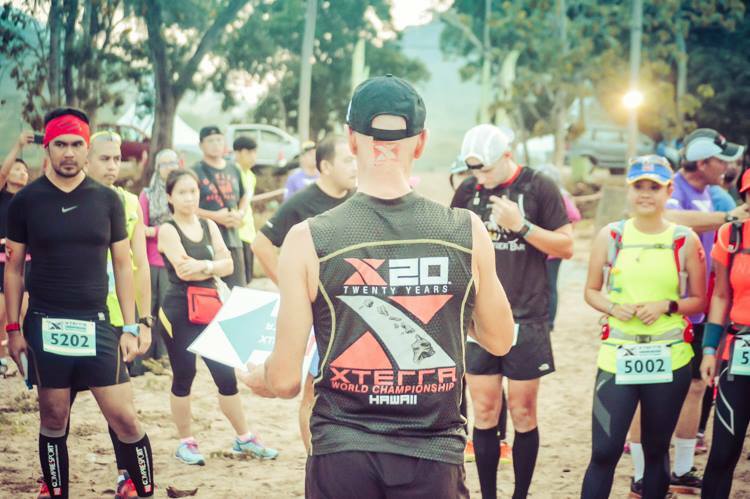 XTERRA really has the most wonderful and pleasant people on this planet participating at its events and I feel very privileged and grateful to have discovered how I can play a role in it.